Mr. Anees, software architect and project leader with over 11 years of rich experience in designing, coding and implementing highly scalable, durable, innovative and forward thinking solutions. 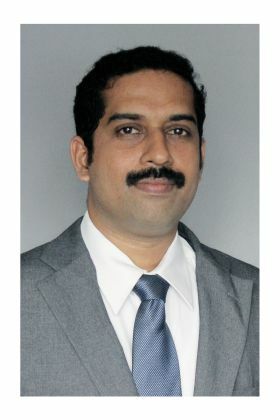 He is an active contributor in the open source community with vast hands-on experience in providing open source solutions to enable strategic business objectives. Anees is a technology leader who flourish in rapidly evolving technology landscape. He focuses on new product development and new technology adaptation and deployment that drives oragnisation growth. He is a authour of patent pending software to double true file transfer speed. Anees has sound platform knowledge on ARM9, ARM Cortex-A5, ARM Cortex-A9 with core OS expertise in Linux 2.4 – 2.6, 3.0 - 3.10, 4.0, Mac OS X [Tiger, Leopard & Snow Leopard], Android OS [4.0 – 5.0]. Other key interest areas include: Linux kernel Programming, Linux Internals, Linux device drivers, Yocto build, network protocol development, U-Boot,Bootstrap, Debian, Ubuntu file system, board bring up, BSP, driver development, Android Internals, GStreamer/FFMPEG, virtualization, CAPWAP, Mac OS X Network Kernel extension, Mac OS X device driver development, OS porting, software/module porting, etc. He is well credited for his ability to provide appropriate solutions to clients. Anees did M.S [Software systems] from Bits Pilani Vidya Vihar Campus, Rajasthan and Master in Computer Application from Mahatma Gandhi University, Kerala.